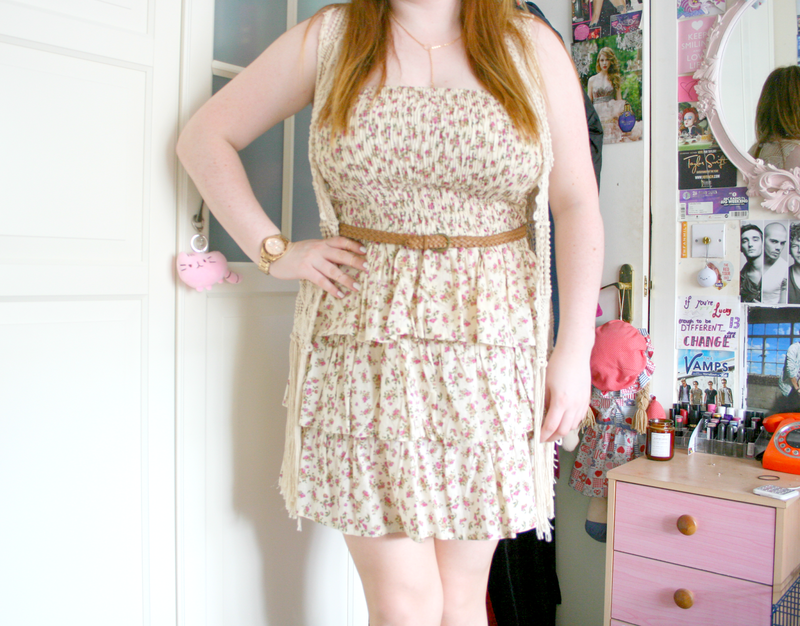 I found this little summer dress that I bought a few years ago and decided to try it on and see what I thought of it. I think this is such a cute little dress and I have no idea why I haven't worn it till now. The top part of the dress is that stretchy material so that it clings to you while the bottom is much more floaty and light and I just adore the frill detailing of the skirt. 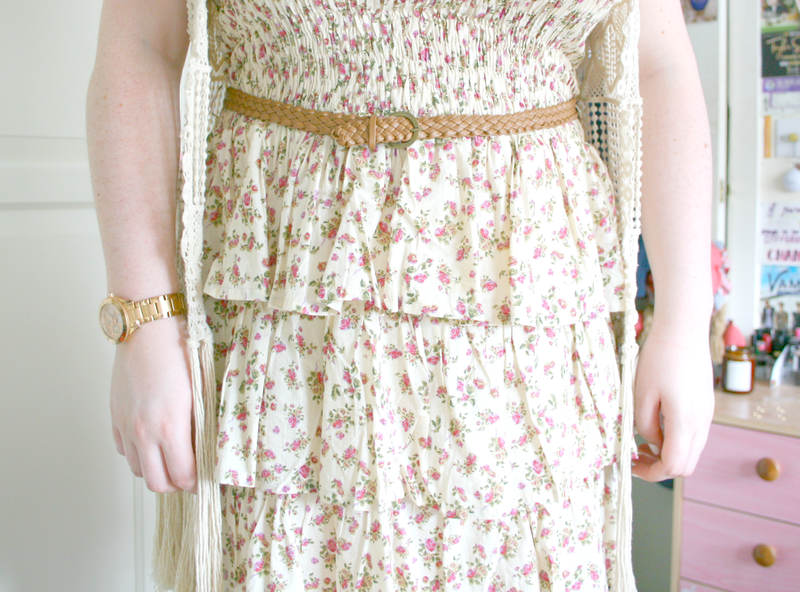 Theres also a little brown belt attached to break up the print, I also think it just makes it super girly looking. On top of the dress I wore this lace kimono that I also bought in a local boutique a few years back which I absolutely love because it just reminds me of the festival style you see on Tumblr and Pinterest etc. I kept it simple with jewellery as always with just my Fossil watch and a gold necklace*. I kept my hair down and straight just tying half of it up because it is so warm. For shoes I just wore my black boots (pictured here) which I have been really loving lately and that's pretty much it! Are you making the most of your last few Summer days? OMG Jordan, the kimpno is so perfect!!!! I love it so much! 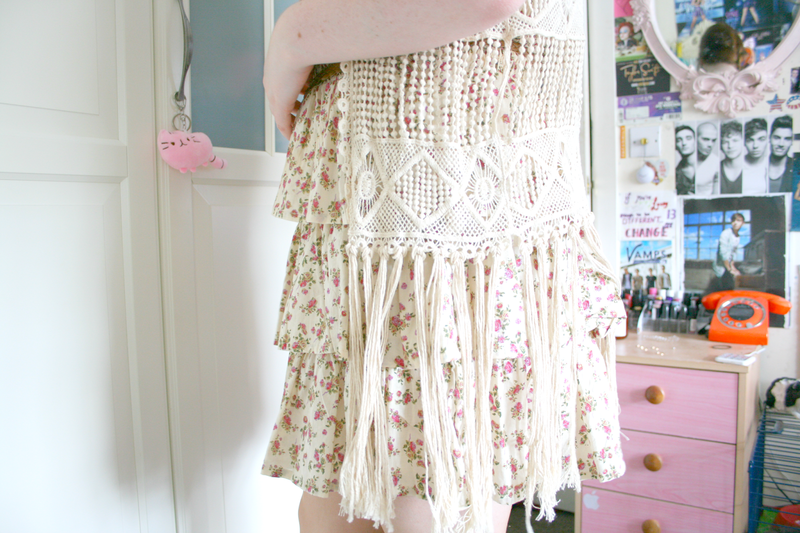 And the dress is the cutest one ever! It's a good outfit for the end of summer. Btw, how is it already 25th of August? That's so weird! Anyways, i looved the post!